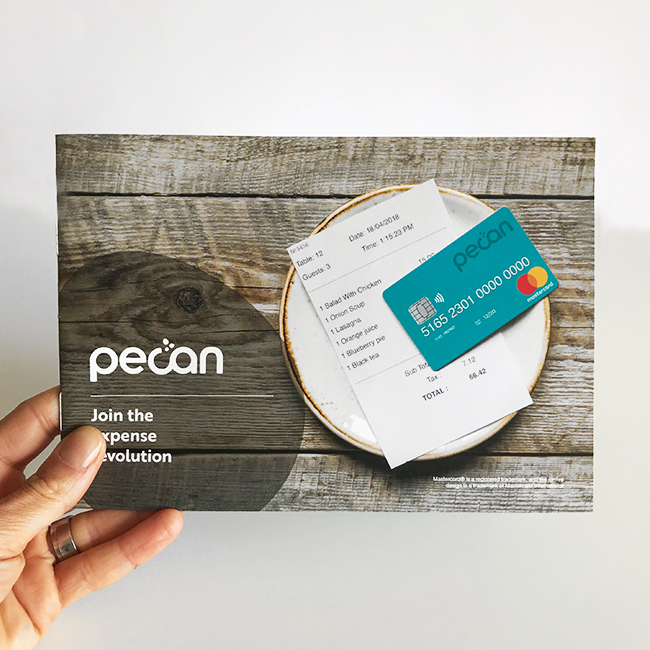 Pecan is an exciting new brand that helps businesses manage their employees expenses online and on the go. 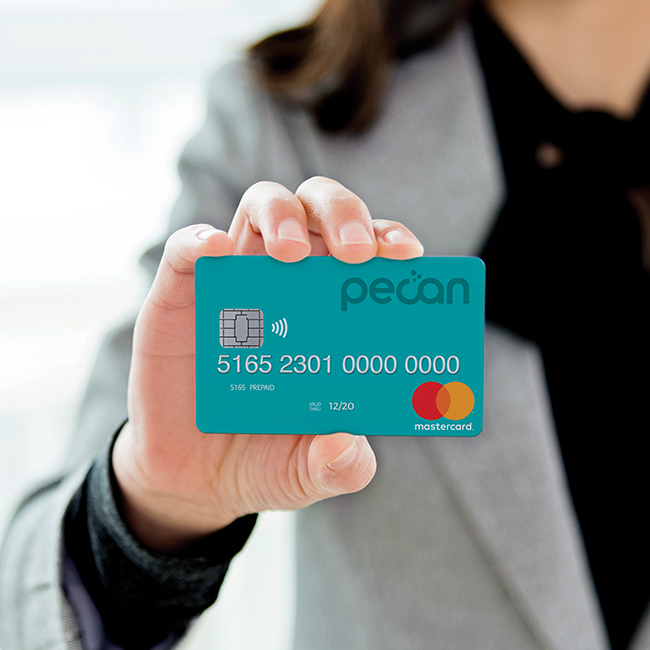 This unique product is revolutionising the way expenses are managed, using a physical card, smart phone app and online system. 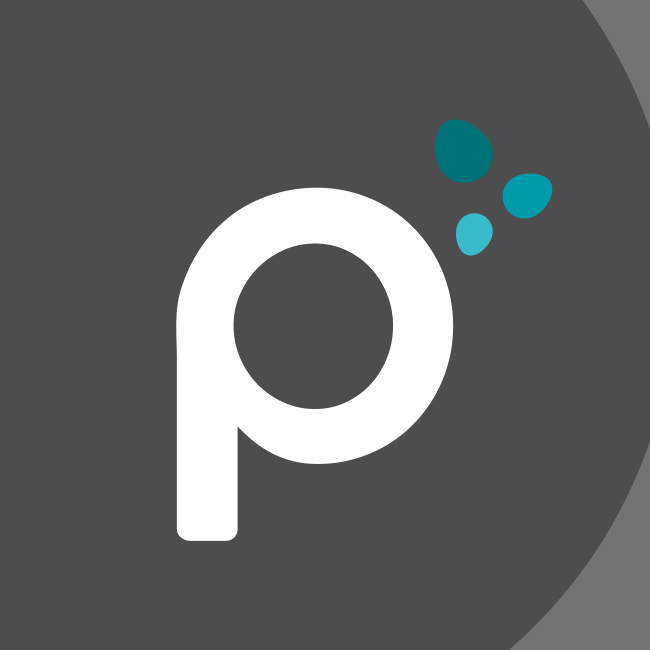 I was asked to completely rebrand this forward thinking product with a young, fresh and friendly identity. 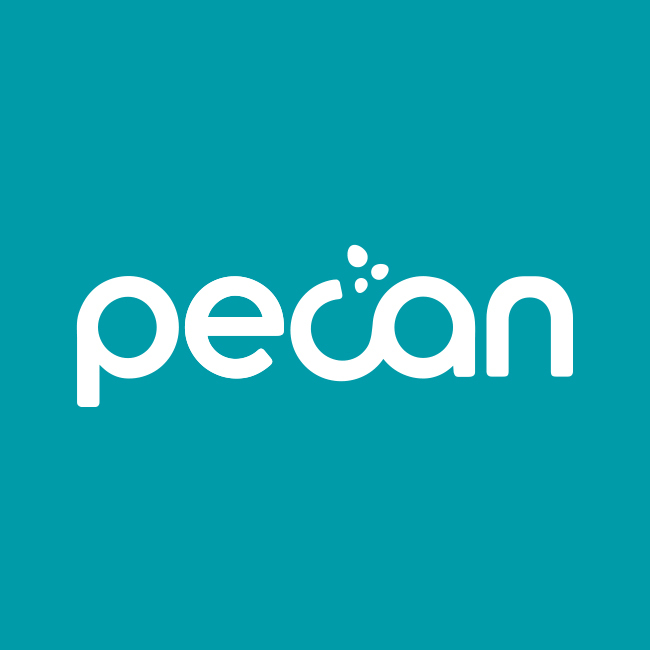 We went on a journey of development with the Pecan logo, settling on an identity that aims to represent the fuss free and easy to use service. 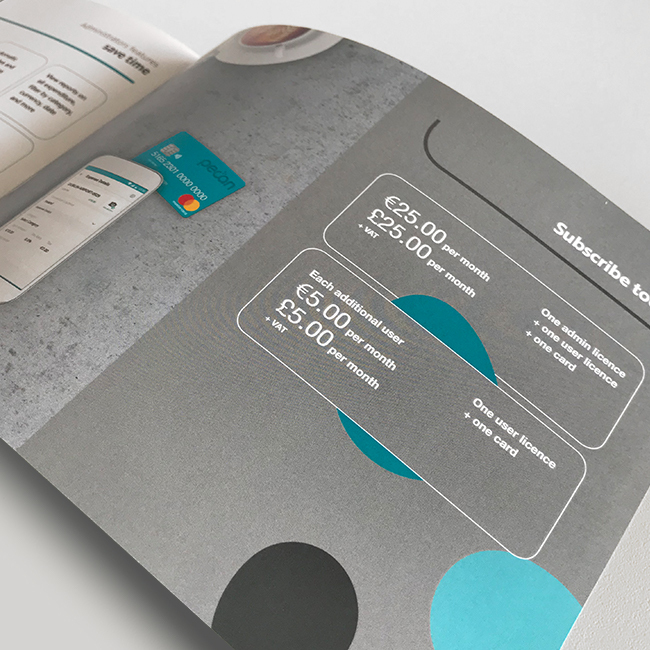 Designing the expenses card, alongside a suite of launch and marketing materials, including a business card that looks like a credit card, stationery, sales brochure, pop up banners and brand guidelines. 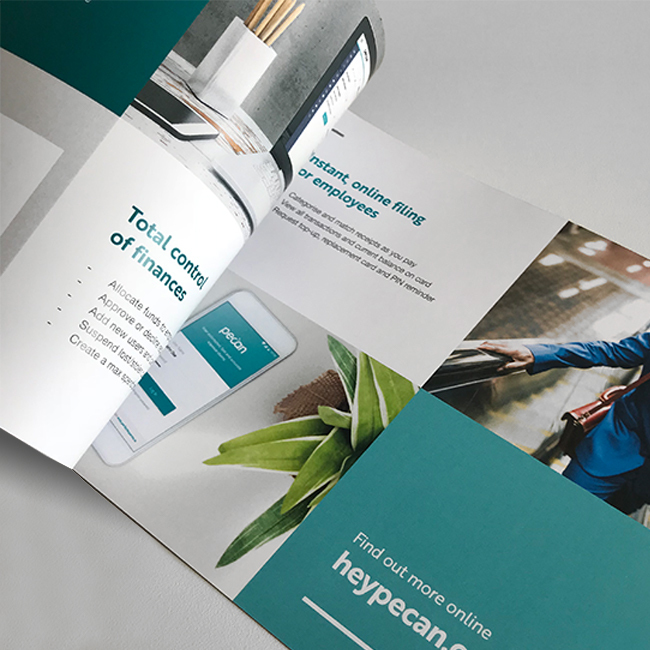 The turquoise blue was an existing brand colour that we built upon to create a unique, clean and simple style that has a minimal feel. 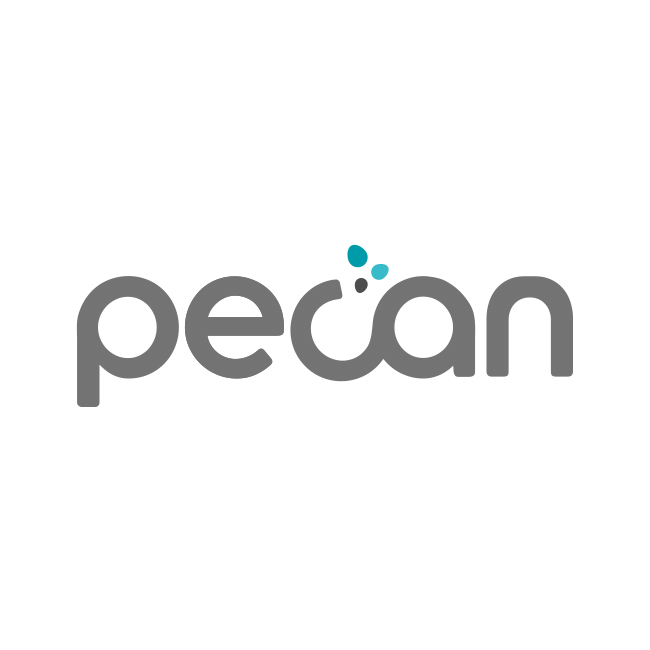 I was delighted to have the opportunity to work with Mel on a number of projects, both for Oxford International, Study Group and recently with Perfect Group and our new brand Pecan. She brings exceptional design skills and experience to take our visuals in a brilliant new direction. Mel is clear thinking, client focussed and has always delivers outstanding work.